In April we played Starflight, a game of hard to define genre, that is nonetheless pretty damn cool! 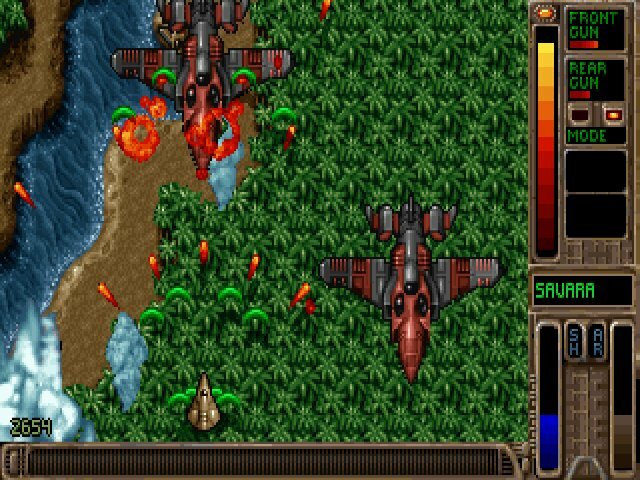 Starflight is a game from the very early days of DOS gaming. Still from a time when game genres were still a bit diffuse. So this game is a bit adventure, a bit RPG and a bit simulation. Apparently it's also been one of the main influences for Mass Effect. All those are reasons for us to check it out. Joining the discussion with Martijn and Florian are Joshua (vede), Richard (Pix) and Tyler (Corgibuttz). Tyler was the one who suggested the game and has been playing it since his childhood, so he has a lot to tell us about it. If you're listening to our show through a podcast service, such as iTunes or Stitcher, please leave a review. It really helps us to promote the show. Thanks! We had a Twitter poll to find our game for June. Since we wanted to play a vertical shoot-em-up, we let you choose between Raptor, Tyrian, Xenon 2 and Raiden. And more than one third of you wanted Tyrian, so that's what we're gonna play. Usually we tell you to play our current game, but it's only three days left in May, so if you want to, feel free to play some more Death Rally, but we're jumping right into Tyrian! The forum is also used for suggesting games to us. Most of the games we play are chosen from your suggestions. So happy to see it’s up! I’ve only given the first 5 minutes a listen and I love how you’ve layered in the starflight theme and the hum of the land rover! Great episode! I really wish I’d had more time to play this one, you made it sound like a real gem.